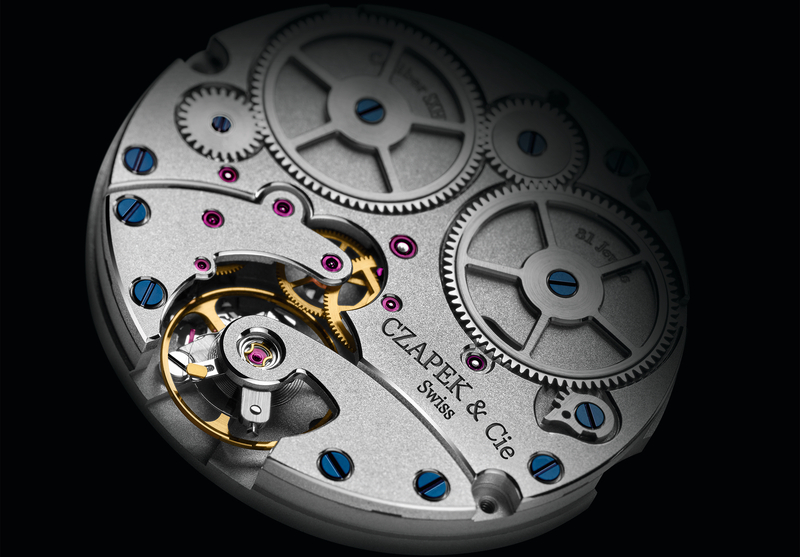 Last year, newly relaunched watch brand Czapek & Cie won the GPHG Public Prize for their Quai des Bergues N°33bis timepiece which features a Grand Feu enamel dial. This year, at Baselworld 2017, the company followed up with three new Quai des Bergues Guilloché versions utilizing the same movement, case, and layout but with “Ricochet” guilloché patterned dials inspired by a pocket watch designed created by Francois Czapek in the 1850s. The bombé (or curved) dial is crafted from a mixture of gold, silver, palladium, and platinum, by Swiss atelier, Metalem. 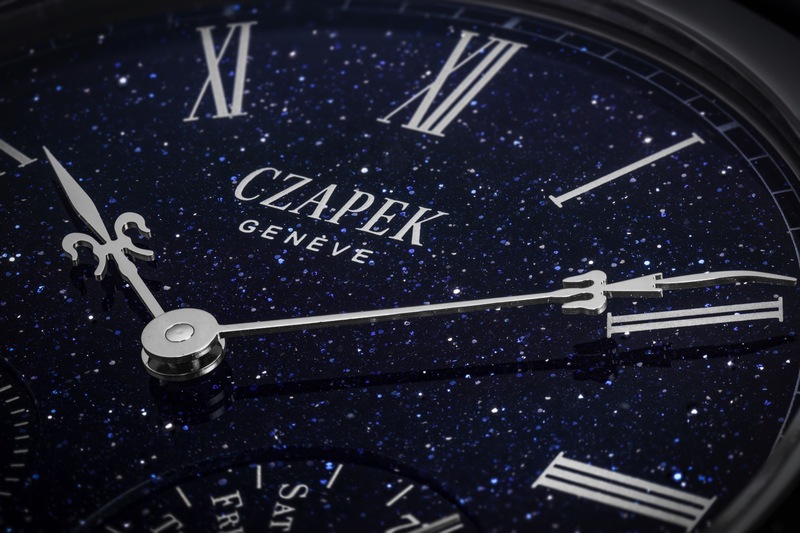 Interestingly, “Czapek” is printed directly on the dial rather than being engraved, and there is an Arabic numeral with 11 full and partial indices, which results in a very clean look. Like past Quai des Bergues timepieces, this collection measures 42.5 mm in diameter and is powered by the same caliber SXH1, which is produced by Chronode. The movement is manually wound, runs at 3Hz, measures 32 mm x 4.75 mm, and has dual barrels for a 168-hour power reserve. Finishing of the movement includes double open ratchets, sandblasted bridges, blue screws, beveling, and anglage. 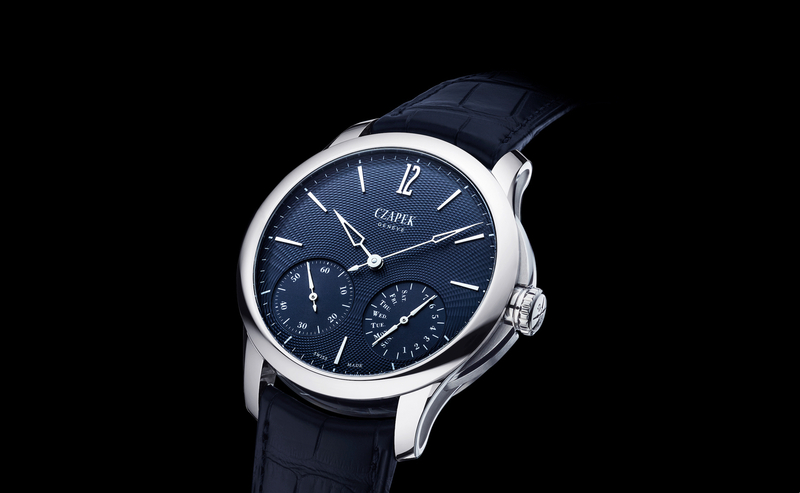 One of the unique highlights of the watch is a power reserve indicator, located between 4 and 5 o’clock, that features a double-sided hand that both points to how many days are power reserve are remaining 1-7, and what day of the week it is. 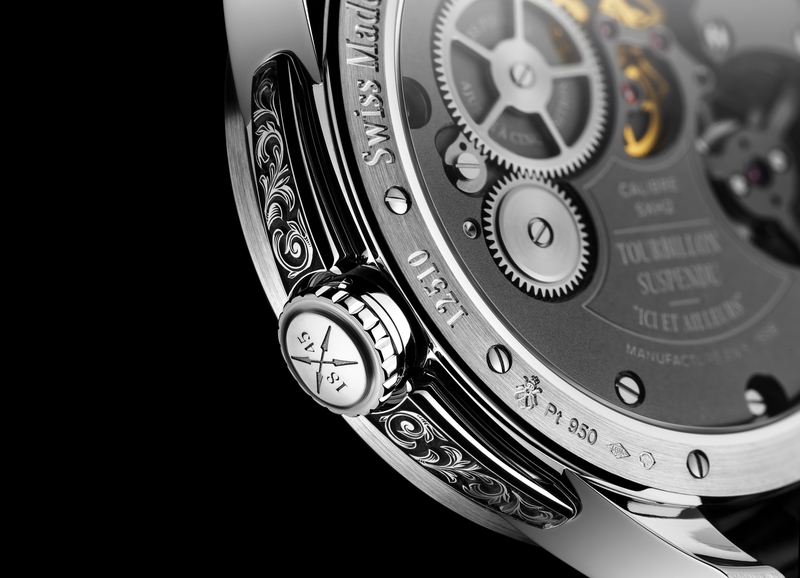 The light gray dial version has “Fleur de Lys” hands in blued gold, the steel model has skeletonized spear-shaped hands, and the unique piece uses “Fleur de Lys” hands in rose gold. Available beginning this month, production for the year will total 26 timepieces. There will be 15 in the Aqua Blue with a steel case for $14,800, 10 in Sea Salt Gray with a white gold case for $25,900, and a unique piece in Emperor Blue with a rose gold case for $25,900.